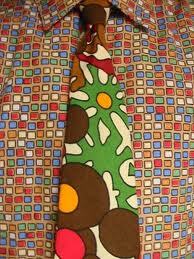 If you regularly wear a suit to work, like many men you may have felt just the tiniest bit of trepidation when it comes to matching your shirt to your tie. 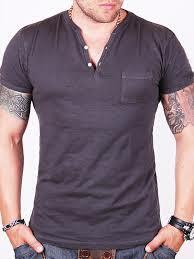 Of course men’s shirts come in a range of colours, stripes and checks and as for ties – well the variation is limitless, so how do you get it right when it comes to pairing the two and how can you ensure that you’re making an dapper style statement and not a fashion faux pas that has your colleagues sniggering behind your back? It can be tempting to stick with what you know but let’s face it there aren’t that many ways a guy can make an impact in the style stakes when in the office so paying a little more attention to your tie ‘n’ shirt combo can do wonders for your look. 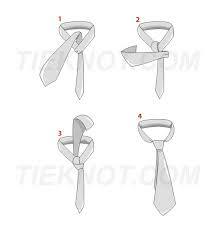 Let’s take a look at how to create a shirt and tie dream team because you do have several options. 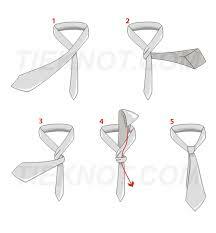 1) Plain tie with a plain shirt. 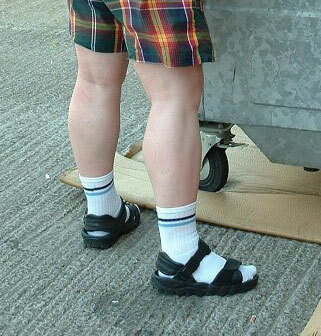 This is obviously the easiest pairing to go for and a great way to experiment if this is your first foray into the wonderful world of men’s fashion. There is just one main rule to bear in mind when matching a plain shirt and tie and that is to avoid wearing either both light colours or both dark colours. Or heaven forbid, matching them exactly! 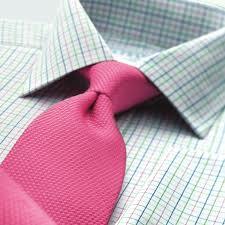 Trying out a plain white shirt or a pale blue or pink shirt with a colour popping tie is an awesome way of adding some interest to your office attire. 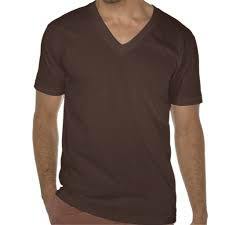 If your shirt is white you have a whole host of colours to choose from but if your shirt is coloured you should stick within the same colour pallet to avoid looking garish. 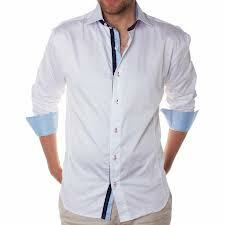 For example, pair a light blue shirt with a navy tie and you’ll be killing it at the water cooler. 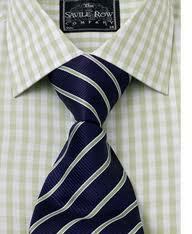 2) Plain tie with a patterned shirt. Okay, this is slightly trickier but don’t panic just yet as you can still pull this off with panache with just a modicum of care. There is just one basic rule here: match the colour of the tie to one of the colours – or something within the colour pallet – of the shirt. 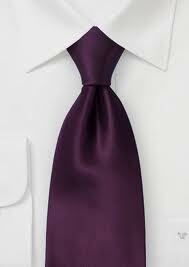 For example, if you’re wearing a lilac and white gingham shirt opting for a purple tie will work well. 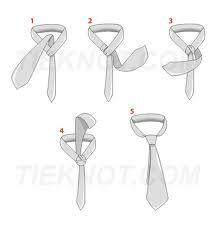 3) Patterned tie with a plain shirt. This is exactly the same as above; if your shirt is plain light blue go for a tie that has a shade of blue in it too, for instance a blue and white polka dot pattern. So you see, making a little effort doesn’t have to be a pain in the behind and as long as you keep the basic principles about matching colour families and not going spot on spot in mind you should be just fine! Play around, have fun and before you know it you’ll have upped your game with a minimum of fuss. 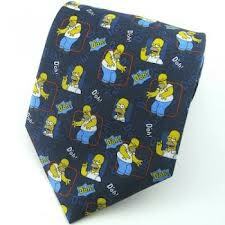 What are your thoughts when it comes to pairing shirts and ties? Do you play it safe or you do you like to inject some colour and a dash of daring into your otherwise boring office apparel? Let us know in the comments, why don’t you?! 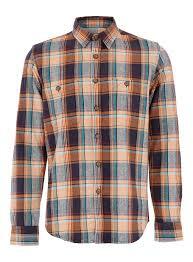 And why not follow us on Twitter too for our occasional Tweets on men’s clothing and urban fashion. 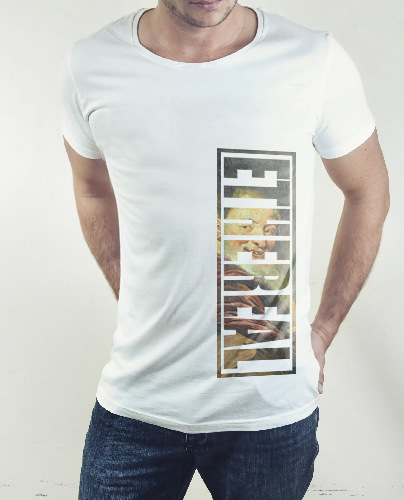 Annnnnd talking of urban wear, why not check out our new website where we’ll soon be selling our very own range of street wear style men’s t-shirts?